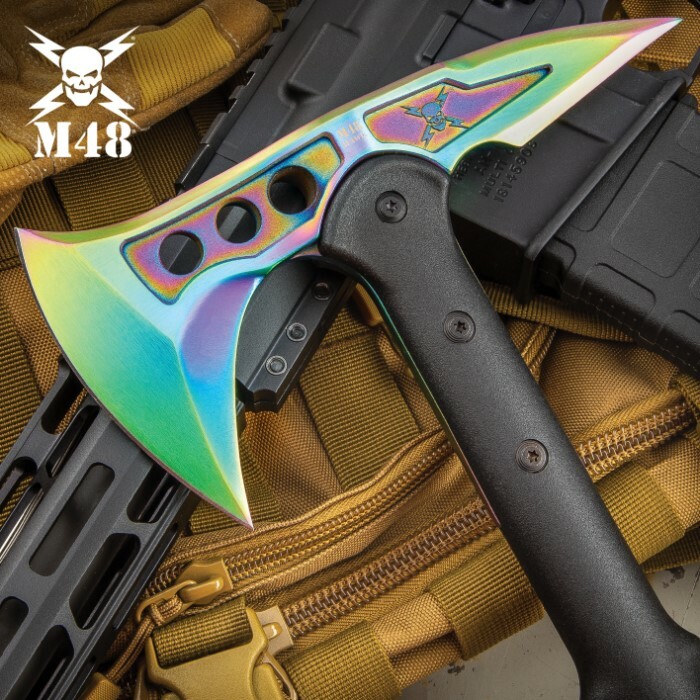 If you are looking for the ultimate tactical tool but one that is really going to turn heads, then look no further. This M48 Rainbow Finish Tomahawk is the ultimate tactical tool. 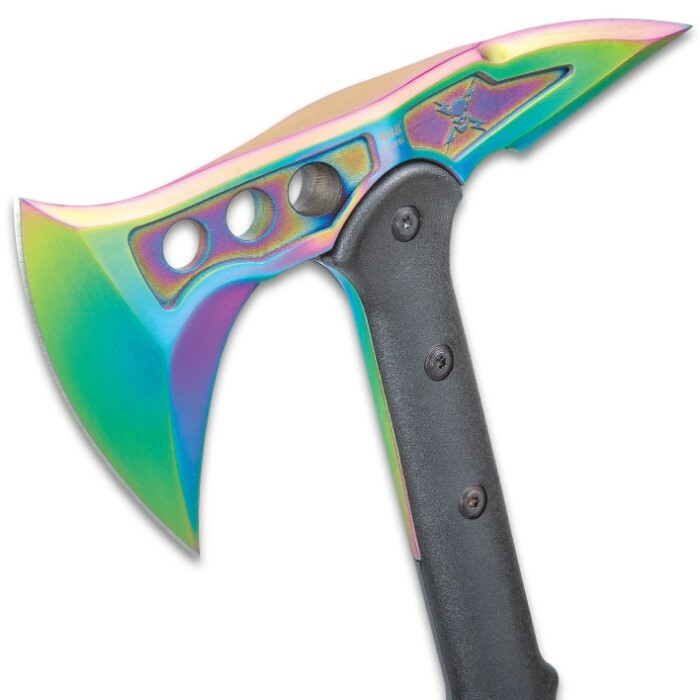 It is lightweight to be carried all day without added muscle fatigue and the rainbow finish blade of the M48 Tomahawk offers a wide, upswept axe blade and a piercing spike on the back end. 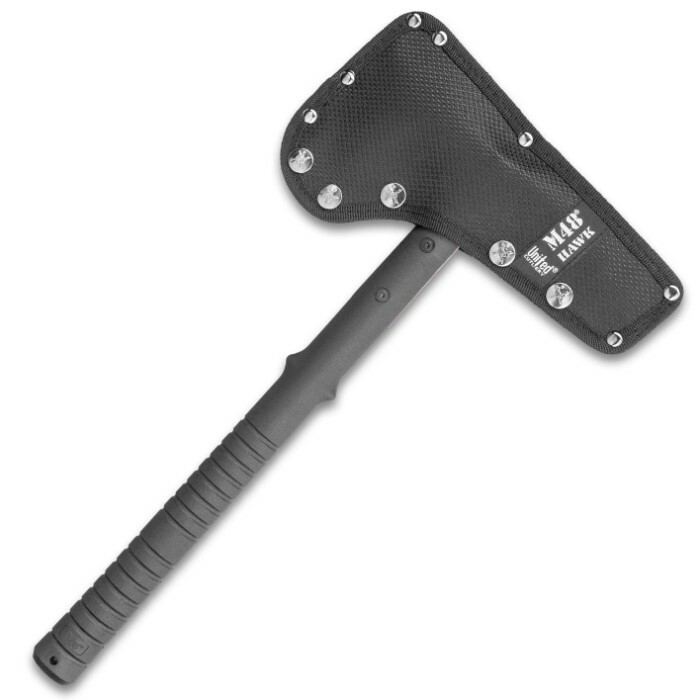 A durable nylon sheath completes the package.